Roasted Mediterranean vegetables sound exotic, don’t they? A taste of summer holidays, an azure-blue sea and chilled drinks. Or maybe summer barbecues, falafel and yogurt. Can I let you into a little secret? I use them to make life easier. The sort of vegetables we associate with Mediterranean cooking are so sweet and moist they need little attention when cooking. This means you can, with very little effort, make a little ‘cheat dish’ as an ingredient for another meal. Here, I’ll be sharing my roasting technique, along with some recipes you can use the veg in. Do you eat a lot of squash? Butternut squash is one of my favourite autumn vegetables, however my not so favourite part is the fact it takes forever to peel. I usually slice the skin off with a knife, which means I lose a lot of the flesh, and my hands end up orange too. This is why I often roast butternut squash. Roast squash soup, pasta, risotto, you name it. And you don’t need to add lots of fat to the dish – it’s a myth that you need to cover vegetables in olive oil in order to roast them. Just slice your squash in half and scoop the seeds out. 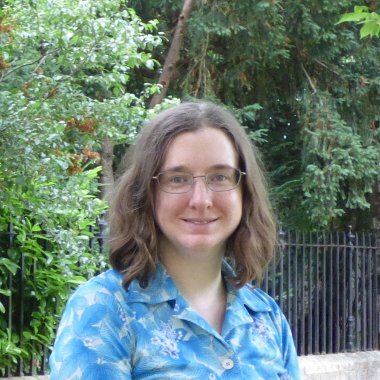 Place each half in the middle of the oven skin side down on gas mark 5 (191 centigrade, 375 farenheit). 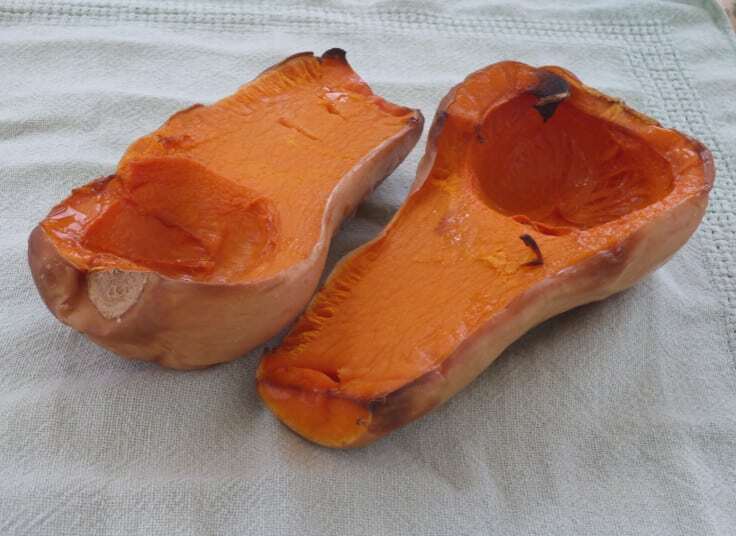 Check the squash periodically and rotate if needed, and in an hour you will have a sweet and succulent roast squash. It’s best to do this ahead of time so you have time to let the squash cool down. When you’ve done this, you can peel the skin straight off with your fingers or an eating knife – or even a spoon. Then just cube your squash and use it in your recipe in place of raw squash. It will cook much more quickly – if you add it to a curry recipe with a long cooking time, for example, it may well mush down. This can be an amazing effect if you want it. If you don’t, just reduce the cooking time or add the squash towards the end. 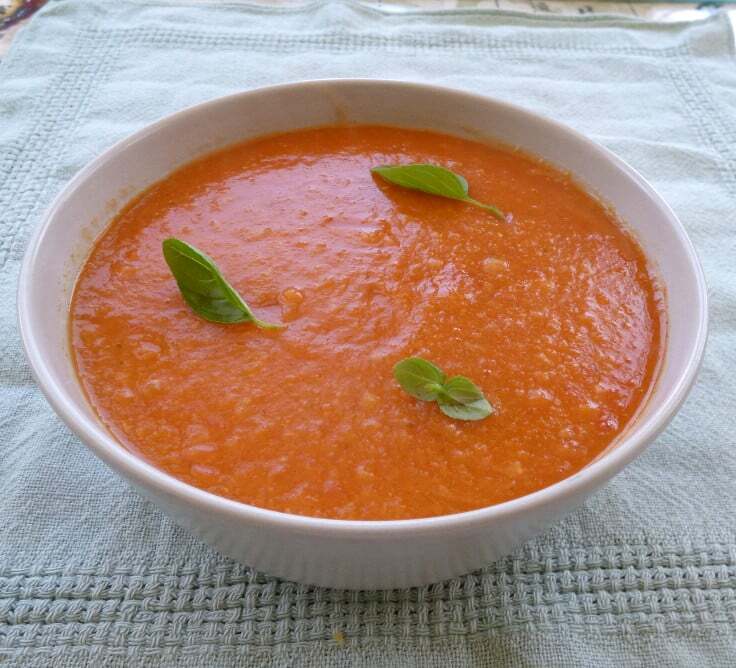 If you want to have a go at this technique try my roast squash and lentil soup. It’s a really simple recipe to bring out the flavour of the squash. I adore roasted peppers, and they’re one of the more popular roasted Mediterranean vegetables. If you sautee peppers quickly they can sometimes taste a little bitter, but if you take a little time they have a glorious sweet flavour that nothing else really rivals. 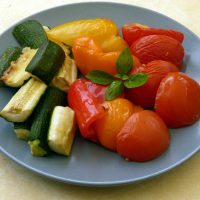 If you, your children or a family member want to eat a wider variety of vegetables but can struggle with their texture and sometimes bitter flavours, make friends with roasted peppers. Yes, you can buy them in a little overpriced jar filled with olive oil, but you can also make them yourself much more cheaply. Minimal prep time. No olive oil. 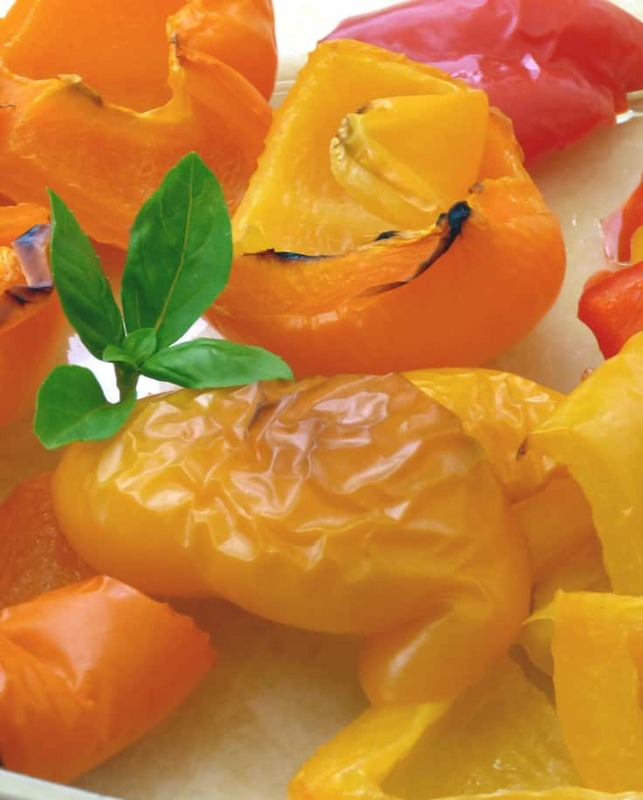 Just chop your peppers – if you’re short on time simply slice them in half. Take out the core and seeds. Arrange them in an oven proof dish in a single layer if you can, though they still cook if they’re packed in quite tight. Pop them in the oven for an hour, and check them once or twice to turn if necessary. It’s that simple. 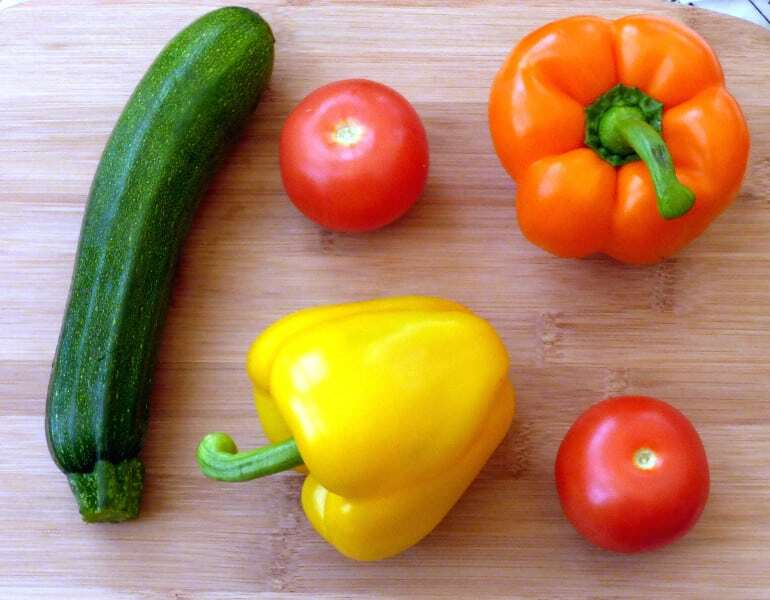 If you have a lonely bell pepper in the back of the fridge roast it quick and put it in the freezer, and you have the beginnings of a tasty meal for another time. Roast peppers are beautiful blended. If you’re particular about texture you can pull the skins off first, but they will be fine as they are. 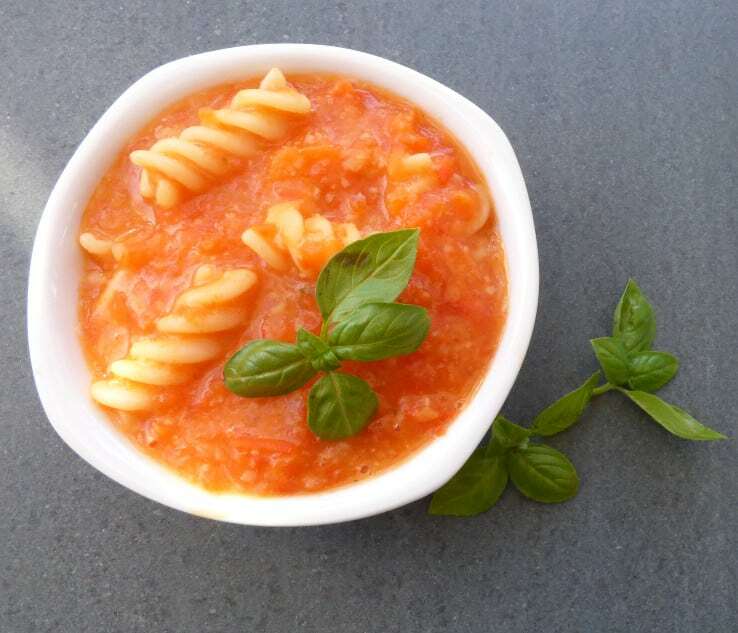 That’s the foundation for this tasty roast pepper and cannellini bean pasta sauce. It’s a really simple earthy sweet recipe that your family will never guess is packed full of so much veggie goodness. And it’s vegan too! Another way to use roasted Mediterranean vegetables is in dips and spreads – like the Middle Eastern Baba Ganoush. 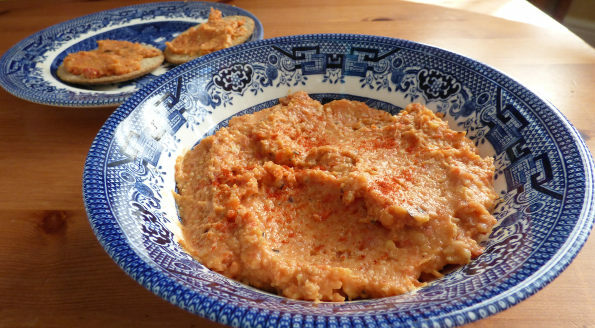 Hummus is an Eastern Mediterranean favourite, so why not try my twist with this Chorizo and Roast Pepper Hummus? 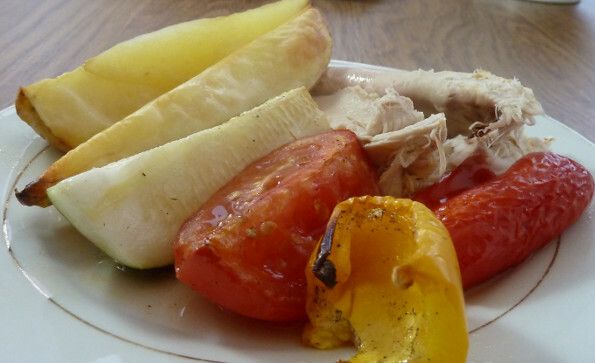 As I’ve mentioned, roasted Mediterranean vegetables, and especially peppers, are super sweet. They are perfect to add extra flavours to dishes for this reason. 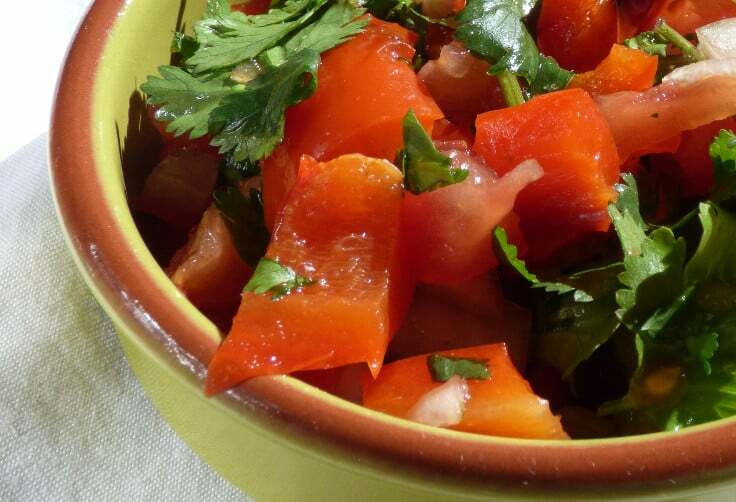 That’s how my Roast Red Pepper Salsa can be sweet and juicy with no added sugar. Perfect for barbecues and tacos! Try it with black bean mole. Whilst chopping or blending vegetables into another dish can make for a super tasty meal, you really can’t beat a platter or dish just loaded with roasted veg. When we were on honeymoon in Venice, the restaurants had a very wysiwyg attitude to food – what you see is what you get. If you ordered fish, or pasta in a sauce, no sides came with it. 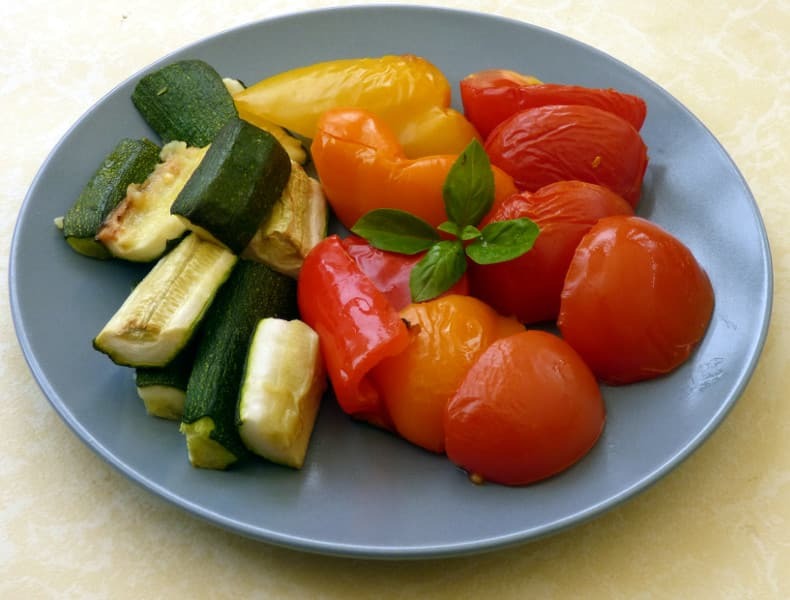 You had to order them separately, and a dish laden with grilled (broiled) or roasted peppers and courgettes (zucchini) was brought out. You can use any vegetable you like to do this really, just make sure the vegetables are in a single layer and in fairly small pieces. You can make some really colourful spreads! Do you have a Sunday roast in your house? It’s a great British tradition, but one we don’t partake of that often in our house. Weekends are just so busy, and a typical roast involves just so much peeling! Roasted Mediterranean vegetables are a great way to save time on cooking a roast dinner. No peeling, no hot spitting fat like traditional roast potatoes and no standing over the stove watching a pan or checking a dish in the oven. If you fancy giving this concept a try why not have a look at my no-peel roast? You can also use a dish of colourful roasted Mediterranean vegetables as the basis for a quick weeknight meal. Just roast the vegetables the night before or earlier in the day, whenever you have time. Then chop them up and throw them into the dish. Frozen peas have their place, but you can’t eat them every night! 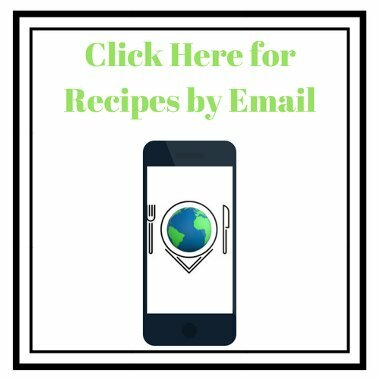 I used this technique to create this quick vegetarian orzo dish. So will roasting vegetables save you time? It does take an hour or so of roasting time to cook them, but you can happily go away and do something else during this time. The total prep time is minimal, and all you need to do is chop the vegetables, and heat through if necessary, when making the final dish. If you want to eat something more exciting than frozen peas, yes, roast veg can save you time in the kitchen. 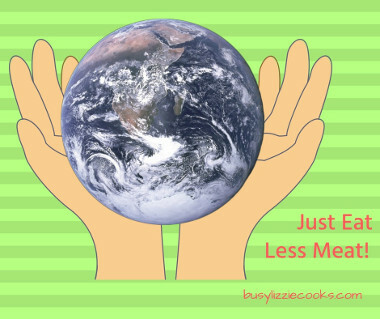 It’s also a good way of avoiding waste, as it’s easy to roast and freeze leftover veg ready for a meal another time. Perfect for easy soups and pasta sauces! A really easy low prep recipe for the perfect side dish - or a make-ahead ingredient for speedy weeknight dinners. Slice the courgettes lengthways then chop into chunks. Cut the peppers in half, and each half into quarters. Arrange the ingredients into oven proof dishes. Roast in the oven on gas mark 5 (375F/191C) for an hour. Serve as a colourful side dish. Alternatively, cool and store in the fridge or freezer to use as an ingredient. 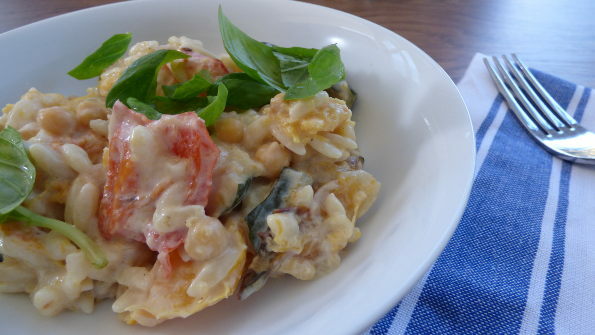 Try with other vegetables such as squash, onions or aubergine/eggplant. Thanks Amy, glad you're enjoying the inspiration! Roasted vegetables are the best! And they definitely do pair beautifully with so many things! I adore roasted vegetables! It's my favorite way to prepare them and I love all the inspiration you have given here for using them! I especially like using roasted red peppers in roasted red pepper sauce over fettucine! Yum, roast pepper sauce and fettucine sounds divine! Wow, the colors are so gorgeous!! Thanks, that's one reason I love peppers, they're so colourful! Great ideas for roasted veggies. I love the smokey/charred flavor they have when they are roasted, too! Lizzie you are persuading me to have more vegetables. They all look so lovely. My first try will be the Squash and lentil soup. 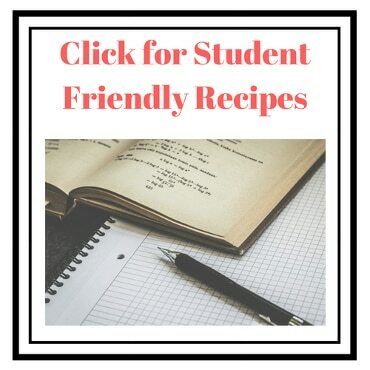 Thank you for these recipes. Thanks, I'm glad you're tempted! That soup is perfect for this time of year.